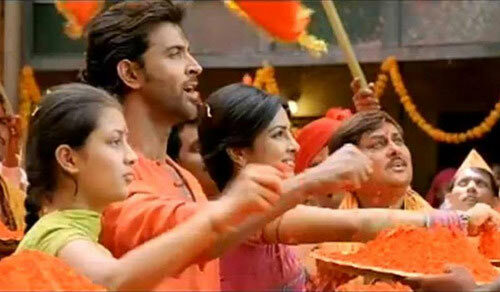 But in Bollywood, the festivities play round the year with its one-of-a-kind celebration of life, love and relationships. While the bond between a brother and sister is inarguably precious and fun, it packs in its own set of sentiments and trademarks. And that's why it enjoys such variety of portrayals in our movies. We celebrate the day by listing some of the most endearing demonstrations of bhai-bahen ties. 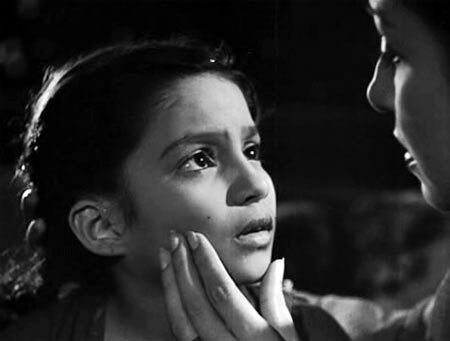 In this Raj Kapoor production, Rattan Kumar and Baby Naaz essay a pair of orphaned brother and sister who struggle relentlessly to survive amidst the cruel, indifferent society while trying to retain their dignity. Both are extremely close and look out for each other even when circumstances force them to stay apart till destiny finally decides to play in their favour. Give a Rakhi to your brother now! Baby Naaz grew up to play Rajesh Khanna's beloved albeit physically challenged sister in Manmohan Desai's Sachaa Jhutha wherein finding a great match for her is Khanna's prime concern leading the popular song, Mere pyaari behaniya banega ki dulhaniya. Though most of the film is a drama revolving around lookalikes and muddled identities, the sentimental bond between the siblings forms the emotional core of the story. Bollywood's enduring stereotypes in the 1960-70s relied on a widowed mother or handicapped sister to create a sentimental connect with the poor hero. Around such times came Ravi Tandon's Majboor, an engaging thriller about a man, played by Amitabh Bachchan discovering he's suffering from a terminal disease and embracing a crime he did not commit in order to provide long-term security to his dependent family, especially his wheel-chair restricted sister (Farida Jalal). The camaraderie between the two is rather sweet 'Nahi main nahi dekh sakta tujhe rote hue' and Jalal's chirpy act earned her a well-deserved Filmfare nomination for Best Supporting Actress. And that's why Dev Anand's Hare Rama Hare Krishna is doubly special. For starters, the legendary actor and filmmaker picked up a leggy model Zeenat Aman, chose to cast her not as his love interest but kid sister and entrusted her with an author-backed role as the reckless Jasbir. 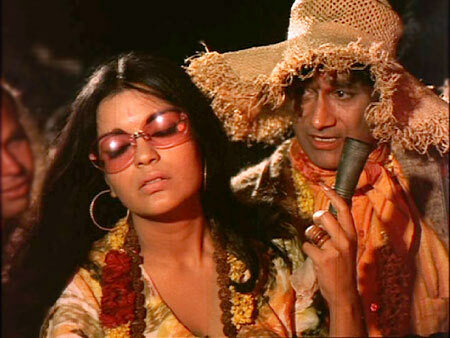 Zeenat Aman, to her credit, conveyed the confused, upset, misguided and resentful side of her once rooted-now hippie character unable to reunite with her determined brother since their parents' divorce with stunning vulnerability. In Yash Chopra's family drama about an arrogant businessman and an illegitimate son he never acknowledged, there are moments of tenderness that rise above the hardness of step-relationships. And so the bubbly Poonam Dhillon is visibly close to her blood brother Shashi Kapoor but doesn't think twice before forging new ties with her wronged, step brother Amitabh Bachchan who is only too happy to reciprocate and host her wedding with the man she loves (Sachin). Film critic-turned-filmmaker Khalid Mohammed's Fiza stars Karisma Kapoor and Hrithik Roshan as the light-eyed brother and sister duo. But the good lookers aren't playing a happy-go-lucky pair in this grave story set against the backdrop of communal strife and terrorism. Both the actors give one of their best performances to convey the anguish of a protective sister on the lookout of her missing kid brother only to discover he's now part of a ruthless terrorist outfit and the consequence of her altering their collective destiny. Other than turning the silver screen a hue of pink with their lovey-dovey chemistry in films like Mohabbatein and Shakti: The Power, Shah Rukh Khan and Aishwarya Rai played a pair of spunky twins in Mansoor Khan's Josh. Their bantering, affection and essence of their relationship is fittingly captured in the sis-helping-bro-to-woo-the-girl scenario song, Apun bola. In Onir's impressive directorial debut, the filmmaker tackles with the taboos and trauma associated with an AIDS patient. Sanjay Suri plays a swimming champion whose world collapses after he's diagnosed with the dreaded virus and no one willing to support him besides his elder sister, essayed by Juhi Chawla. It's an emotional story told with depth and sensitivity by underlining the uniqueness of their unconditional bond. As the bickering siblings of Abbas Tyrewala's frothy hit JTYJN, Genelia D'Souza's Aditi and Pratiek Babbar as Amit, might appear like they cannot stand each others' sight and even engage in a physical scuffle or two. Underneath that childish behavior, however, Amit is an extremely concerned brother with plenty of reliable relationship advice for his adorable sister. Some brother-sister portrayals are probably not as acknowledged as they ought to be simply because they aren't entirely played by huge stars or filmi enough. Even so they, alternately, lend a sense of warmth and believability contributing to the overall sincerity of a narrative. Be it the reliably quarrelling Duggal duo -- Sandy (Archit Krishna) and Payal (Aditi Vasudev) -- of Do Dooni Chaar, Nikki Khosla (Rupam Bajwa) leaving no opportunity to tease 'Cherry' Bhaiya (Parvin Dabas) in Khosla Ka Ghosla, Urmila Matondkar playing the typical bossy didi to her disgruntled, school-going brother Motilal (Suman) in Rangeela or Hrithik 'Viju' Roshan's shielding and touching fondness for his mild-mannered baby sister, Shiksha (Kanika Tiwari) in Agneepath.